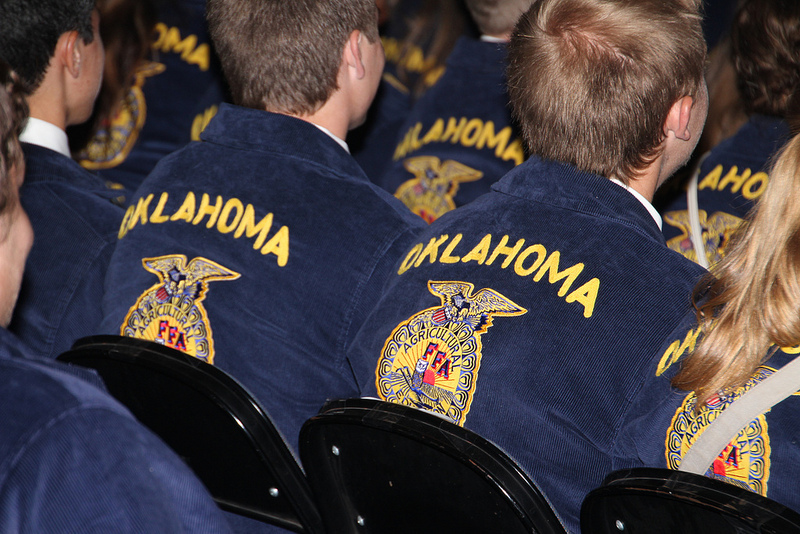 Oklahoma FFA Chapters have once again shown they are the cream of the crop nationally as the Oklahoma FFA Association has one of the largest numbers of National Three Star Chapters in the US. Of the chapters that developed a program that earned a three star award at the state level in Oklahoma earlier this year, the thiry six highest ranked chapters submitted their paperwork on the accomplishments of their group- and thirty of them have been declared National Three Star Chapters for 2013- and will be honored here in Louisville during the 2013 National FFA Convention. The other six chapters received a two star national ranking by the FFA Organization. In recent years, Oklahoma has been in the top tier of states when it comes to the number of National Three Star awards are earned by their chapters. For the 2013 competition- here are the thirty Oklahoma FFA Chapers that have qualified for this highest chapter award available from the national organization.